This Friday: Album Launch Party! On Friday 11th March we’ll be celebrating the launch of my new album Gentle Songs Of Ceaseless Horror at First Chop Brewing Arm in Salford (on Trinity Row, just by Salford Central Station). Yes… the launch party is in a working brewery. Where else? The night will feature the only live performance by the band on the album (Phill Howley, Joel Roberts, Fran Lydiatt and Biff Roxby). 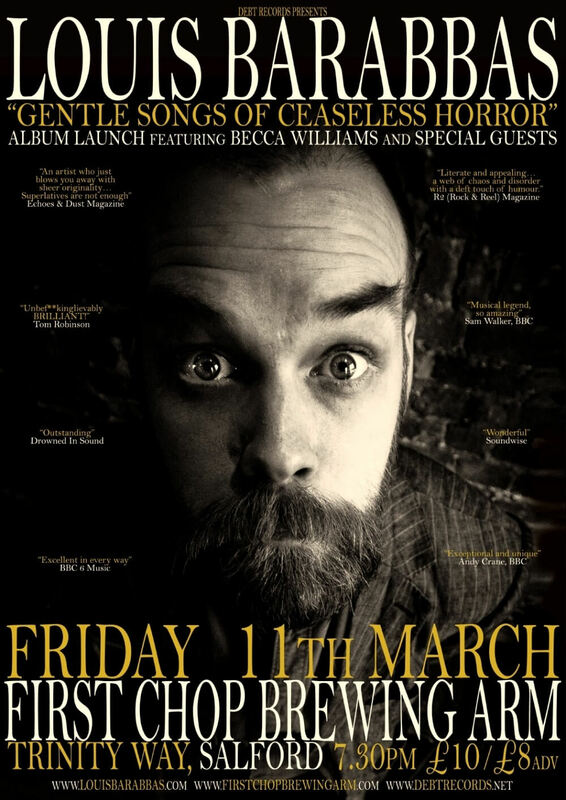 Also on the bill is my label-mate Becca Williams (who is brilliant) plus some special guests (and I mean SPECIAL).